What sets an iOS game apart from the multitudes of others on the App Store? In the case of Superbrothers: Sword & Sworcery EP, it’s not just the mouthful of a title. The newly released adventure game boasts gorgeous stylized graphics, an entirely original soundtrack, and simple touch-based gameplay. You take the role of a nameless warrior monk, exploring a fantasy realm. As you navigate through the realm, you’ll encounter puzzles to solve, creatures to do battle with, and denizens of the world like the woodsman Logfella. All the while, you’ll be accompanied by a haunting soundtrack and immersed in lush 8-bit-inspired graphics. The app also sports limited Twitter integration that lets you tweet quotes from the game. 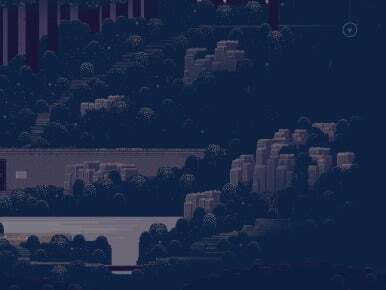 An all-star cast teamed up to bring Sword & Sworcery to life, including Toronto-based programming house Capy, composer Jim Guthrie, and the eponymous designers, Superbrothers. As to what the game itself entails—I’ll be honest, even having spent a while playing the first session (the game’s launch screen informs me that I’m at 17 percent completion), I’m not sure I could describe it, other than to say that if you’re a fan of the adventure games of yesteryear, you’ll probably find it intriguing and worth a download. Superbrothers: Sword & Sworcery EP is $5 and requires an iPad running iOS 3.2.1 or later. A version for the iPhone and iPod touch will be released in April. A soundtrack, Sword & Sworcery LP: The Ballad of the Space Babies, will be released on iTunes and vinyl (yes, vinyl) next month as well.